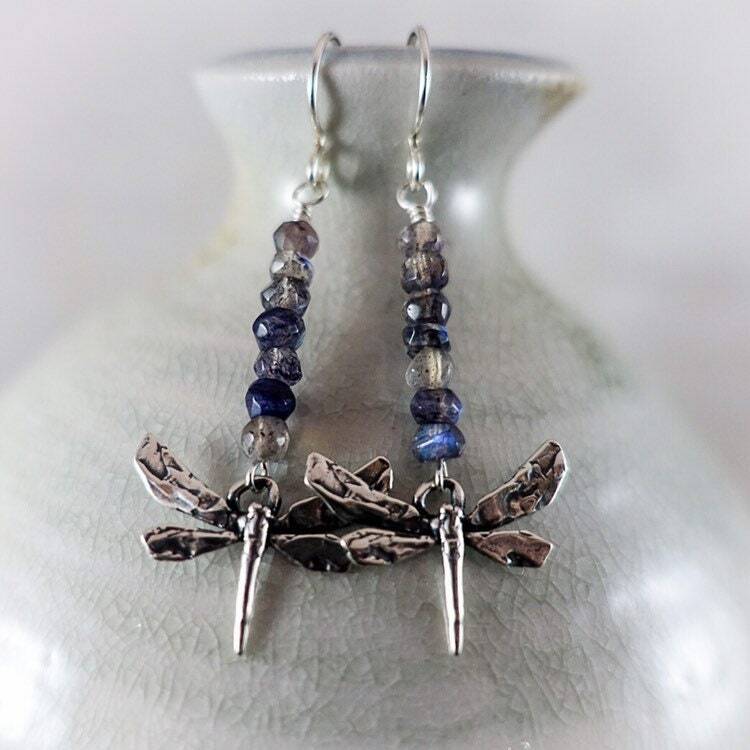 Dragonflies symbol adaptability and change. 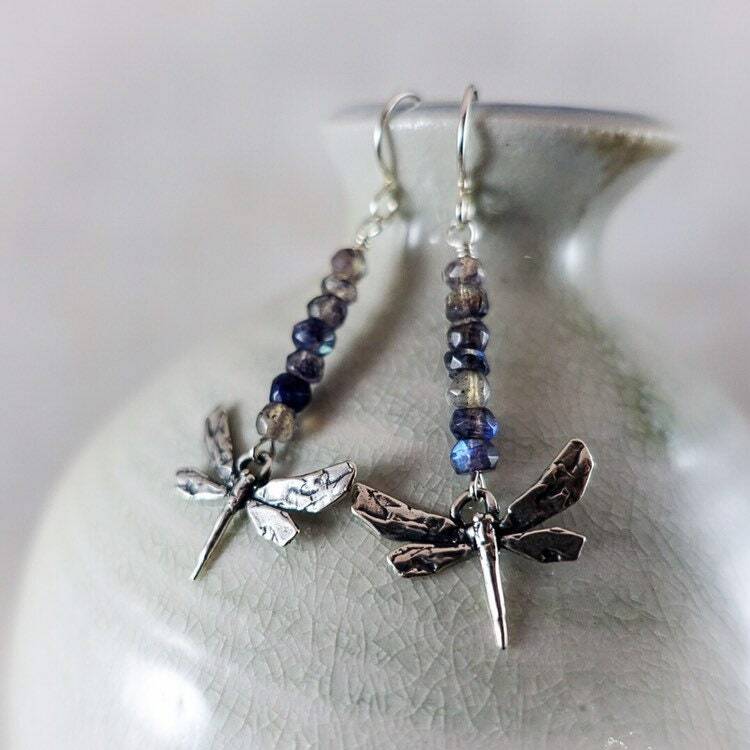 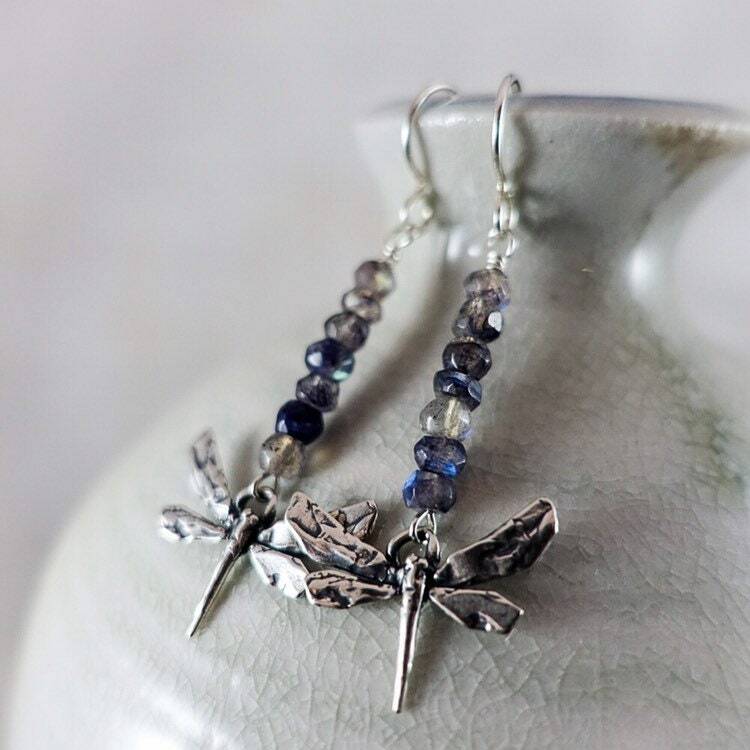 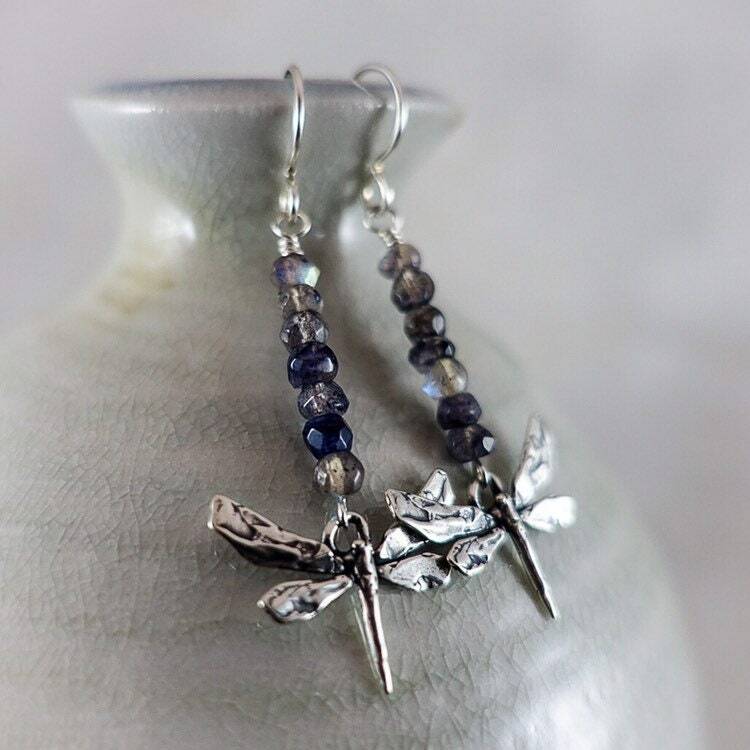 Adapt this mentality in our beautiful dragonfly earrings—faceted iolite beads and a sterling silver dragonfly charms. 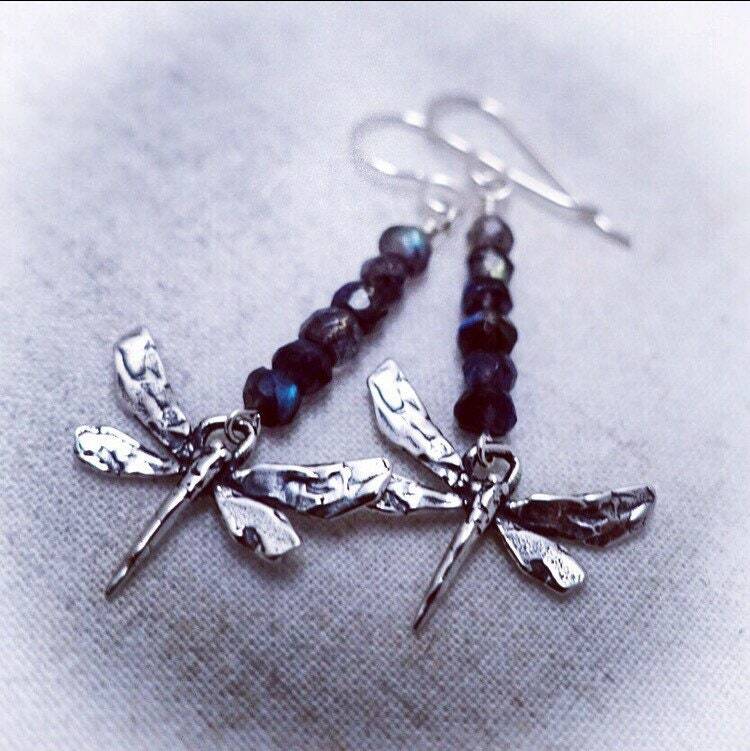 Priced at $38, hang 1.5 inches from sterling silver ear wires.